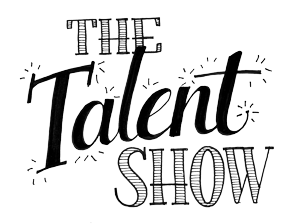 hillviewasb.com: Sign up for the Hillview Talent Show of 2018! The talent show is coming in May and it’s time to audition to become a part of Hillview history. If you have talent you want to share, you need to sign up for an audition. That’s right...you must earn your spot! Just like your favorite talent shows like the Voice or America’s Got Talent, Hillview has auditions where you can sing, dance, play an instrument, or do just about anything entertaining to get into the show. You must sign up no later than this Friday. Auditions will be held next week at lunch. Can you perform magic? Comedy? Juggling? Can you act? Do you play the piano? Are you in a band? We need all types of acts!! Perform a skit just like at summer camp and entertain us with anything and everything. Sign up for your audition at tinyurl.com/hvtalent2018 and become a part of Hillview history. A quick note: you can audition multiple acts as long as they are in different categories. Only one of them can make it into the show, but this makes it easier to cover all your bases.